One idea that is neither innovative or creative and, as far as the SAMR Model goes, purely substitution but useful just the same is to present worksheets on the iPad. 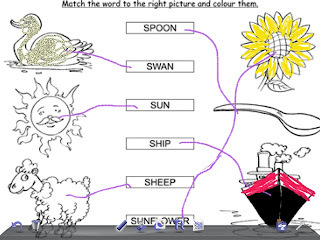 Teacher made worksheets can be saved as photos, either by taking a photo of an actual worksheet or taking a screenshot, and then presented in an app such as Doodle Buddy. Students can complete the worksheet, write their name on the sheet and you can save to Camera Roll or take a screenshot and you have your evidence. Then the screen can be cleared and handed to the next student. This could be used for assessment of learning, assessment for learning and consolidation of skills. There is a screenshot below of a worksheet as the background in Doodle Buddy.